Tokyo Ghoul Re chapter 105 was released a few days ago, meaning that fans are now eagerly waiting for the next chapter to arrive. The previous chapter gave birth to a new war, which was started by the Clowns who invaded the CCG wards. Here is a short recap of Tokyo Ghoul Re chapter 105 and spoilers of chapter 106. As we all know, a festival took place in the 9th ward. 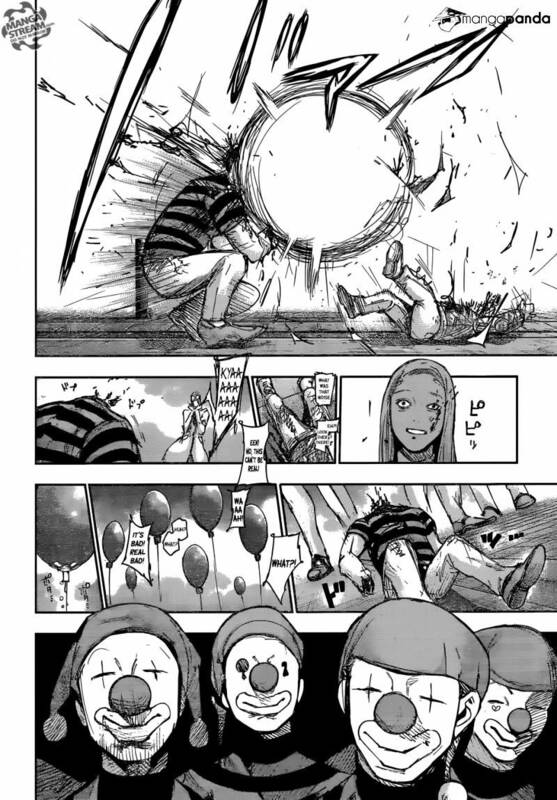 In chapter 105, some mysterious Clowns appeared in that festival. Those Clowns had balloons in their hands, and one of them offered it to a kid. The kid gladly accepted the balloon. However, just when the kid received it, the balloon exploded, thus killing both the kid and the clown. Afterwards, all of the Clowns started to chase the citizens and blow themselves up. Just when things were about to get out of hands, Gori, Takeomi and Kuroiwa arrived on the scene to fight the Clowns off. The CCG led by Tanakamaru, Urie and Saiko also fought off the Clowns present in the 18th and 2nd ward. They thought that if what Furuta said turns out to be true, then the Clowns are surely heading towards the main office of CCG. At the main office, Matsuri is seen mocking Ui for believing what Furuta said. Since there were no attacks in the 1st ward, Matsuri thought that Furuta was just lying. Ui didn’t pay any serious attention to Matsuri and ordered Suzuya to guard the main office with all her strength. He later told the S1 Squad to split into three groups. However, just when Matsuri is about to relax, news comes in that the Clowns have surrounded the main office and are ready to attack. Furuta then appears out of nowhere in the control room and decides to take charge. He ordered Suzuya to lead the S3 Squad, while everyone else was ordered to take their battle stations. Matsuri is later assigned the task to command the rear guard. Furuta then states that he will protect the CCG. The chapter ends with Kaneki, Shuu and the White Strips making an appearance in the 22nd ward. Now, in Tokyo Ghoul Re chapter 106, rumor is that the clowns will turn out to be Kanou’s Quinx. It is said that they are just set up by Furuta, and he created this situation just to become the hero at the end. 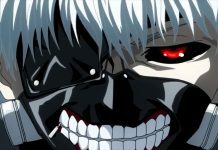 On the other hand, some rumors claim that Kaneki and his group will soon catch up with Suzuya and the S3 Squad, and they will then fight the Clowns together. 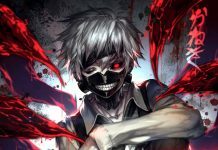 Tokyo Ghoul Re chapter 106 will be released some time in this week. Let us know if you’re excited for it or not in the comments below. Tokyo Ghoul Re Chapter 102 Release Date And Spoilers: Furuta Planning To Wipe Out The Bureau?